In this week's Hanna, 16-year-old knife enthusiast Saoirse Ronan joins the illustrious ranks of the lethal young women who've taken up arms (or fangs, or machine gun-arms) in the movies in the name of raining down righteous fury upon their enemies. Whether raised as assassins or transformed by tragic circumstance, these ten adolescent girls and teens don't take crap from anyone -- and they have the combined body count to prove it. If you run into any of these fierce misses in a darkened alley, let's hope they're on your side. 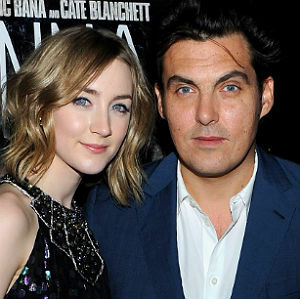 BAFTA-winning director Joe Wright could have stuck to his bread-and-butter area of expertise, the lush period drama, a domain in which his films have notched multiple Academy Awards just six years into a feature filmmaking career. 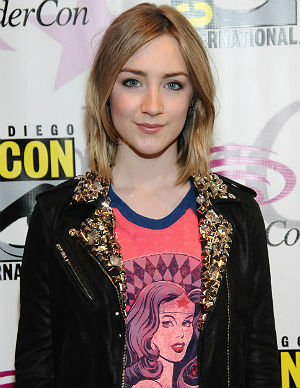 But after making Pride & Prejudice, Atonement, and the subsequent misfire The Soloist, Wright flipped the script and re-teamed with the teenage actress he'd previously directed to an Oscar nomination -- 16-year-old Saoirse Ronan -- on Hanna, a dizzyingly kinetic action film about a girl assassin on a mission of self-discovery. Sixteen-year-old Saoirse Ronan earns her action star stripes this week as the titular assassin of Joe Wright's thriller Hanna, a hyper-charged, globe-trotting fairytale about a feral teen sent out into the world on a mission of vengeance. With an infectious score by the Chemical Brothers to punctuate her journey, Ronan fights through droves of enemies with a fierce precision that belies her youth and petite stature -- and, as Hanna discovers friendship for the first time in her life, so too does Ronan convey a blend of preternatural maturity and childlike naiveté rarely found in performers her age. In San Francisco to present his upcoming teen assassin thriller Hanna at WonderCon, director Joe Wright threw a few pointed barbs toward Zack Snyder's Sucker Punch, calling out the film's brand of scantily clad feminism. 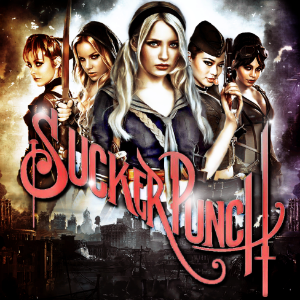 Speaking exclusively with Movieline, Wright elaborated on the subject, tracing the "alarming" brand of sexually-exploitative girl power found in Sucker Punch back to the Spice Girls.